I AM A LICENSED hong kong GUIDE SPECIALIzING IN PREMIUM PRIVATE TOURS of Hong kong and surrounding environs FOR Solo travelers, COUPLES, FAMILIES, LARGE AND SMALL GROUPS AND corporate outings. I ALSO SPECIALISE IN HOSTING MULTI-DAY private hong kong TOURS for seasoned travelers. ALL OF MY PRIVATE TOURS ARE PERSONALISED. 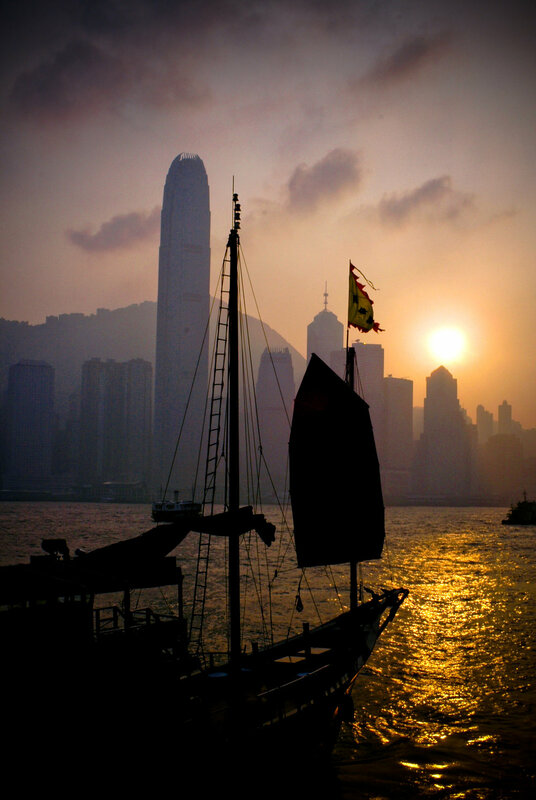 Local HISTORY, CULTURE and photography ARE the primary themes OF MY private Hong kong TOURS. I AM ALSO A PROFESSIONAL DIGITAL ARTIST AND PHOTOGRAPHER AND OFFER SPECIALISED PHOTOGRAPHIC TOURS AS WELL AS INSTRUCTION IN RELATED CAMERA TECHNIQUES AND THE STREET PHOTOGRAPHY GENRE. 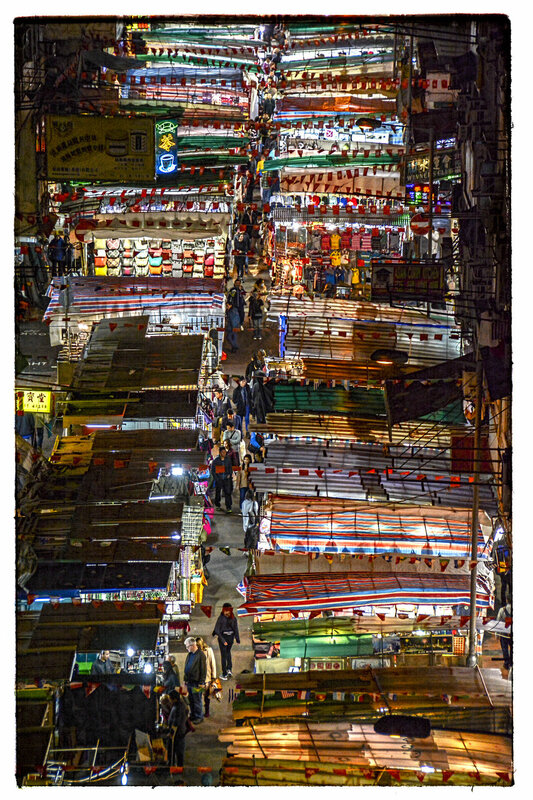 MY HONG KONG PHOTO TOURS ARE CONSISTENTLY RATED THE BEST ON TRIP ADVISOR ACCORDING TO TRAVELER REVIEWS. Happy clients, enjoying a tasty local style meal in one of my favorite Hong Kong neighborhood joints. IF YOU ARE LOOKING FOR AN INFORMATIVE AND MEMORABLE PRIVATE hong kong TOUR EXPERIENCE, DOCUMENTED WITH SPECTACULAR hong kong PHOTOGRAPHY, I will be delighted to be your host! I specialise in organising multiday private tours for my clients. By doing so I am able to offer a seemless, fully immersive private tour itinerary for the entirety of your stay. imagine hiring a local expert to plan and execute a comprehensive itinerary in such a way that no stone will be left unturned! What can a private Hong Kong tour guide talk about for six days? Please read on and find out more! It has been my great pleasure to host and serve each and every one of you this latest travel season. Thank you very much for another memorable and terrific season! *An American of Eurasian descent raised in New York City and Japan. *A resident of Hong Kong SAR 15 years. *Tourist Guide Pass TG12434 issued by Travel Industry Council of Hong Kong. *Retired International Lawyer, BA, JD, LLM. *Lived, studied and/or worked for substantial periods in the following global cities: NYC, Washington DC, Chicago, London, Warsaw, Kobe, Singapore, Shanghai and Bangkok. *Master Digital Artist and Professional Photographer (viewers from around the globe purchase and collect my works). *First Aid Certification by Hong Kong Red Cross. *Feature article in Hong Kong's Apple News Daily (William, an American tour guide who knows his way around Hong Kong like a true local). *450+ Hong Kong Private Tours Completed to Date. *Premium Private Tour Guide since September 2015. *Joel Meyerowitz's Master's of Photography Self Study Course, 2018. *Listed on Trip Advisor (since Autumn 2015) and Tours By Locals (since Spring 2017). *260+ Million Image Views on Flickr. *Tours By Locals Guide On Boarding Team (2018). *Awarded Trip Advisor Certificate of Excellence 2017 and 2018. 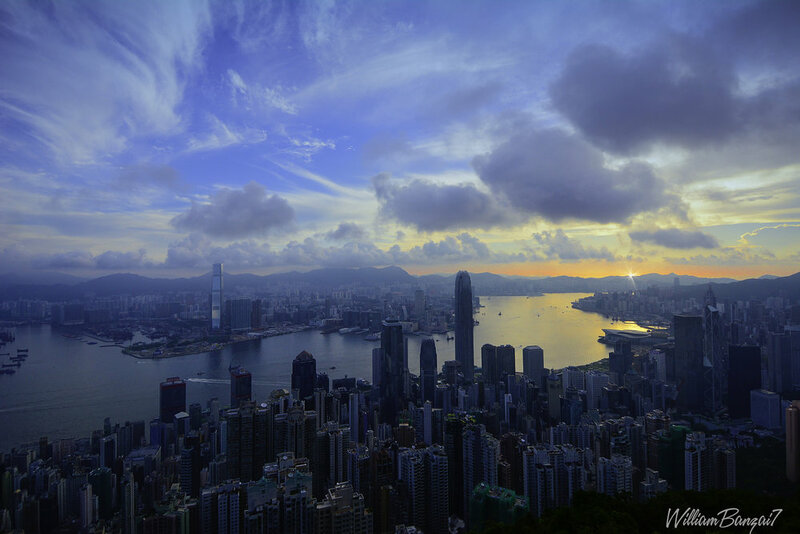 * Rated the Best Photography Tour in Hong Kong based upon Traveler Reviews on Trip Advisor. When China Rules The World--Second Edition, Martin Jacques (2012). Walking Macau--Reading The Baroque, Jeremy Tambling and Louis Lo (2009). Imperial Twilight, The Opium War and the End of China's Last Golden Age, Stephen Platt (2018). The Lion and The Dragon, British Voices From the China Coast, Christopher Cook (1985). Chinese Junks on the Pacific, Views From a Different Deck, Hans K. Van Tilburg (2007). Justice By Gunboat, Warlords, Lawlords, and the Making of Modern China and Japan, Douglas Clark (2017). Please read my reviews carefully. They are the best indicator of how and why I conduct my tour engagements the way i do, the thoughtful preparation Involved and the positive reaction from my clients. every tour engagement is unique and every client can expect my utmost attention. And please note, that when you book a premium tour on this website, there can be only one guide serving you and that will be me. 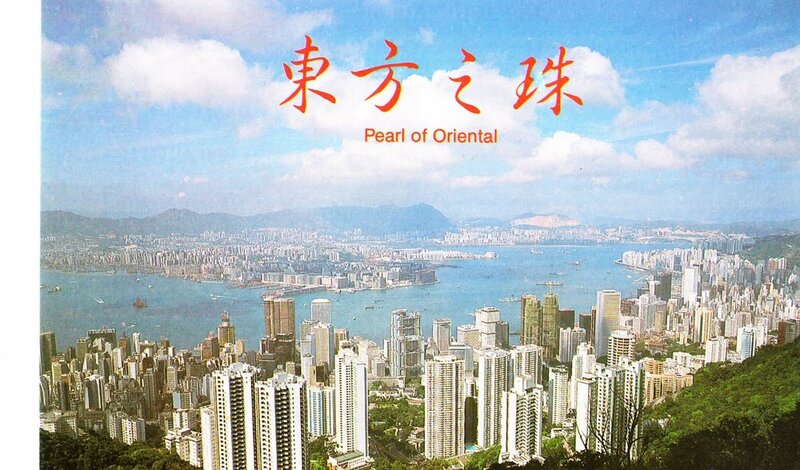 Welcome to Hong Kong SAR, the Pearl of the Orient! 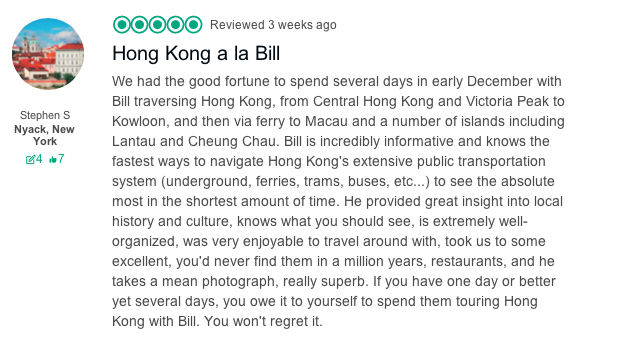 Allow me to share with you the finest ways to experience all facets of this truly magnificent city, culturally, historically and visually, just as a local does; so that when we are finished, you will be able to confidently and knowledgeably relate the modern story of Hong Kong as an inquisitive and well informed cultural traveler! Bob Marley was once asked: "Are you a rich man, do you have a lot of possessions?" To which he responded: "I don't have that kind of richness, my richness is life." If you fancy yourself as one with a strong appreciation for the richness of life, then join me and together we will experience the full sensory extravaganza that awaits you on the Streets of Hong Kong! I am an American of Eurasian descent who grew up in New York City and has spent many years living and working all around the globe, in particular the United States, Europe and Asia. 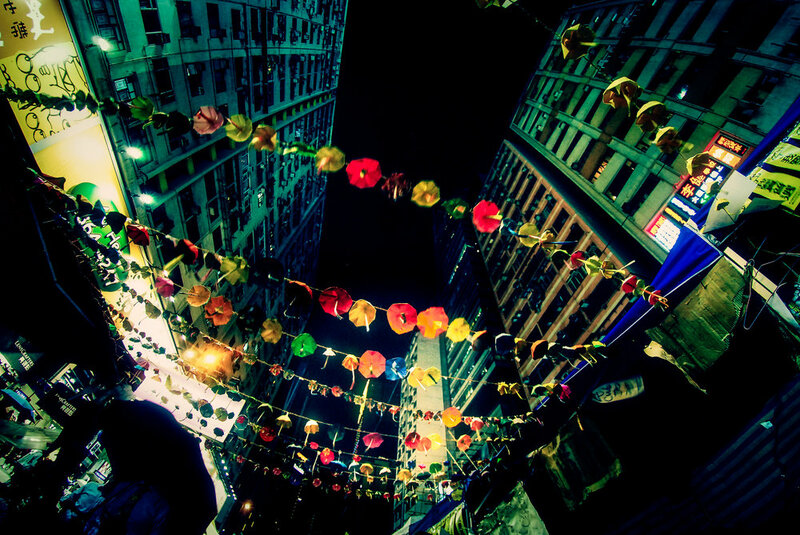 Most recently, I have resided in an old Chinese neighborhood of Kowloon called To Kwa Wan for 15 years. This is my home, the people out on the street know me and I have lived here longer than any of the other neighborhoods I have lived in during the entirety of my adult life. I am also a retired international lawyer who has reinvented himself as a professional artist/photographer and street savvy Hong Kong premium Hong Kong private tour guide. When I am not out on tour engaging myself with diverse clientele from all over the world, I am busy reading, exploring, photographing and creating. This is not a routine for me. This is both a passion and a blessing! Now I am doing essentially the same thing with essentially the same kinds of folks who were previously my clients as an international lawyer (highly successful, driven, well traveled, well informed and demanding), only now, instead of closing a deal, the primary goal is fun! Choose a job you love, and you will never have to work a day in your life. The inception of Hong Kong and the liberalization of the 'China Trade' coincided with the golden age of Yankee clipper ships. A point of keen interest inasmuch as I grew up sailing. Some would find the story of my transformation alone to be one worth hearing about. But as you will see, there is much much more that goes with it. who was Commissioner Lin and why is his statue sitting in the heart of New York City's China Town; or why and where did Edward Snowden hole up when he passed through Hong Kong; or why is it that so many Americans are buried in the old Protestant Cemetery located next to the former British East India Company headquarters building in Old Macau; or which Taoist temple in Macau was the signing venue of the first treaty between the United States and China and what brought Warren Delano to Macau and later Hong Kong? 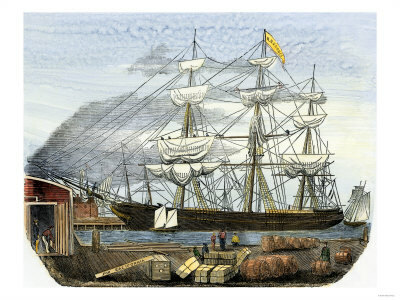 How did American merchants behave during the opium wars? What was the early approach of the United States vis-a-vis China and how did that affect global events in the 20th Century? My time spent living and working in the London further elaborates the depth of my observational gaze on the history of this former British Colony as well. I have plenty of other intriguing facts and anecdotes I like to share: the old coastal China trade, triads and secret societies; South China pirates; Chinese folk religion; how to haggle in street markets; Hong Kong style messy urbanism (the squatter villages, the Kowloon Walled City, street markets and informal use of public space); the trading patterns of colonial Asia, the essential role played by the indigenous Tanka boat people in the development of Hong Kong and Macau as port cities; and my favorite regional Asian and Chinese cuisines, to name a few. All of the information I have accumulated over the years is now available to my private Hong Kong Tour and Hong Kong Photo Tour clients! You see, it is one thing to blather on with marketing cliches about showing you the much touted "hidden gems"and "back streets" , it is another to put in the requisite elbow grease necessary to build and share a comprehensive framework connecting a multitude of cultural and historic dots in an engaging and user friendly narrative. That is what I aim to do! In my preparations for your private Hong Kong walking tour, I have literally spent thousands of hours reconnoitering the streets of Hong Kong Island, Kowloon, the New Territories and Old Macau, camera in hand, searching for all manner of intriguing characters, urban legends, local points of interest, world class street art, delicious eateries and the wonders of raw Cantonese street culture (don't worry, I will explain what that is) in all of its curious manifestations. 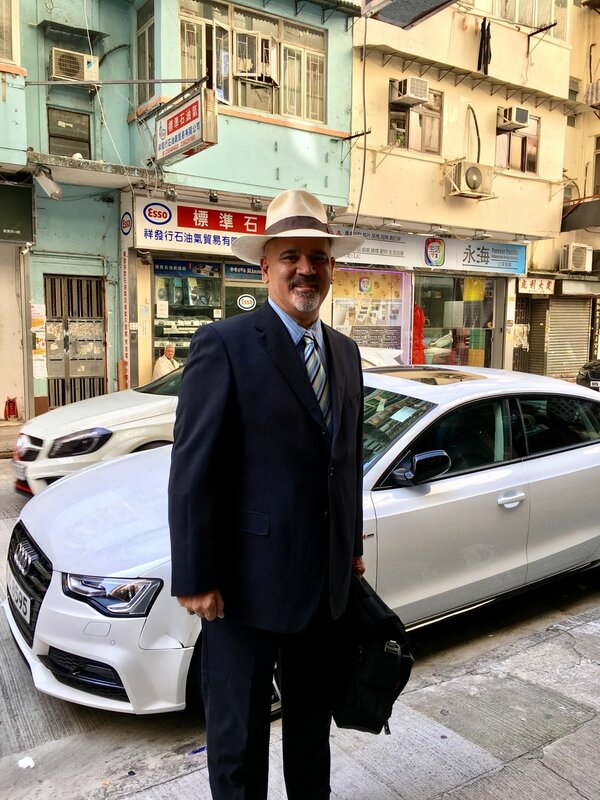 In my preparations to serve as your premium Hong Kong private tour guide, I have also logged hundreds of hours engaging in relevant historic research of precolonial, colonial and modern day Hong Kong, Macau and China as well as greater Asia. -my crystal ball into the future of the region. 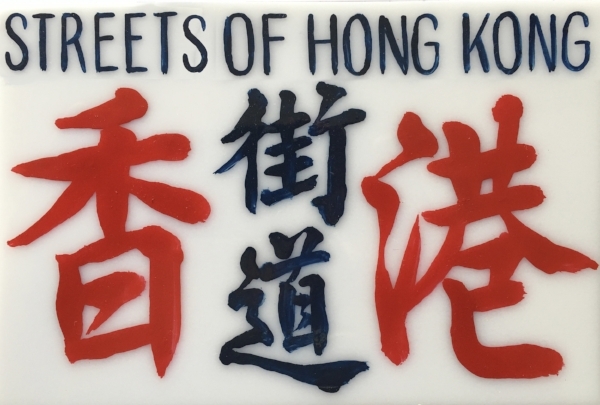 Most importantly, during my private Hong Kong walking tours, I always endeavor to relate these subjects in a personalized, engaging, entertaining and fully accessible style. And I try to do so with requisite wit, George Carlin being one of my influences. As a former student of philosophy and politics it has always been my approach to look for connections hidden below the surface of daily life. In other words, you can expect to be interacting with someone who is much more than a repository of trivial facts, figures and dates, spewing them forth like a walking tape recorder wearing a tour guide pass. 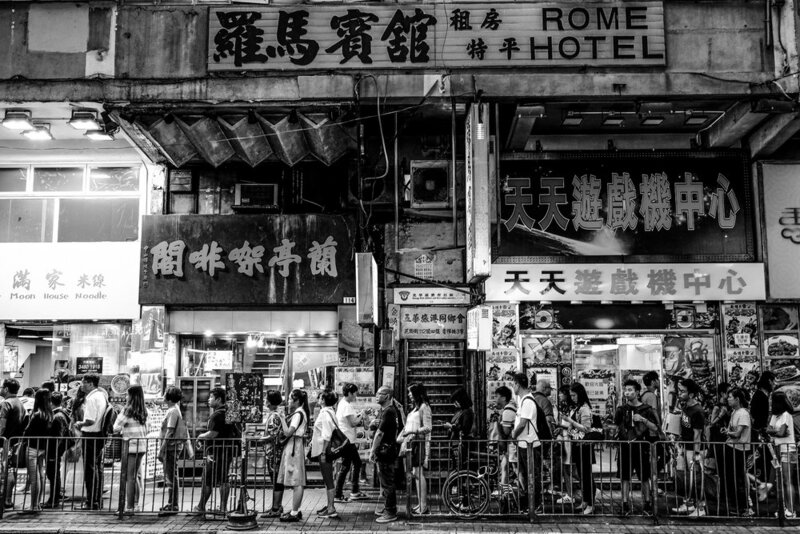 You will be visiting Hong Kong, but I consider it my calling to offer my private Hong Kong walking tour clients a well considered perspective on broader issues that will greatly illuminate your stay. What can be learned from the culture, history and people of the Pearl River Delta region (including Macau, Old Canton (Guangzhou) and Hong Kong), the earliest interactions between China and the West, all of which literally began right here, and how this knowledge be applied to broader use? As a simple example I will mention the nascent trade war you have no doubt been reading about. Would it surprise you if I said there is much more to it than meets the eye? At the end of my private walking tours, I want you to feel like you have learned something transcending a run of the mill tour. Something that will give you a better grasp of current global events as they unfold. Something interesting you can confidently share with your colleagues, family and friends following your return home. Something in addition to the differences between Cantonese and northern Chinese cuisines, a topic I consider of equal importance! I always assume my clients fancy themselves as sophisticated well informed travelers and not mere tourists simply being led from Point A to Point B, with a jewelry factory stop in between. Now I recognize that not everyone will want to delve into weighty topics on break. That's fine because you are on holiday, there is only so much one can manage out on a walking tour and we all want to lose weight. Indeed, there are more than a few occasions where silence is indeed golden. So if you just want to go out, lighten up, have fun and enjoy the fabulous sights on the wonderful streets of Hong Kong, I'm with you. Let's go do it! I am a rapacious reader of colonial history throughout Asia. I also collect antiquarian maps and books covering the 'Great Game' in Western China and Central Asia. Read Peter Hopkirk's works for a teaser. In addition to Europe, more than half of my time abroad was spent in and around Japan, Hong Kong, China and South East Asia. Both my Dad and my Grandfather managed trading businesses in China (Hong Kong and Shanghai) and Asia during the first and latter part of the 20th century. Half of my immediate and extended family is Asian, so Asian history and culture is in my blood. Experience, brings context and if you are coming from any of those places, you can count on me to help you connect all of the cultural and historic way points you may have passed during your journey. Conversely, if you are headed to those places, you can ask me for whatever insights I may have to share. My Mom, who was Japanese, was a spiritually gifted human being and raised me to relish and respect all cultures and religions. While I grew up going to church on Sundays, I discovered Zen Buddhism living in Japan as a teenager. My wife is a Thai Buddhist who has lived in Hong Kong 26+ years. Some guides will show you an authentic local temple. I will show you the temples where my family goes to pray and what awe inspiring temples they are! You won't be seeing me dressed like this on tour! One thing I noticed, however, there were plenty of characters with the Esq. title after their names, involved in the early history of Hong Kong. They say lawyers are social engineers and there certainly was plenty of social engineering involved in the creation of Colonial Hong Kong. I strongly recommend a book titled The History of the Laws and Courts of Hong Kong by James William Norton-Kyshe. A fascinating explication of the challenges encountered by the colonial administrators of rough and tumble Hong Kong during the swashbuckling era of opium Taipans, pirates and Yankee clippers on the high seas. You can find this book on the internet for free since it is public domain. Having spent a lifetime perfecting my skills at persuasive oratory and written communication (gift of the gab) I have now redirected those skills to sharing my unique portfolio of local knowledge and experience with maximum efficacy. Optimal communication translates into maximum information sent and received. Which direction we turn in our discussions is entirely up to you. Suffice it to say that having lived abroad more than half of my life, I have resided, worked in and visited some extraordinary places (60+ countries and counting) and I have plenty of interesting memories and experiences to share as I am sure you do as well. I take pride in being a keen social observer, an artist/entertainer, a lover of good food and a culturally intelligent human being. Here I am with with Jean Claude Van Dam, another Hong Konger (circa 2004)at Spring Moon in the magnificent Peninsula Hotel. My first time staying in the Peninsula was Summer 1974! You never know who you might run into on the Streets of Hong Kong! With famous Hong Kong TV/movie actor Lau Siu Ming in Nan Lian Garden. 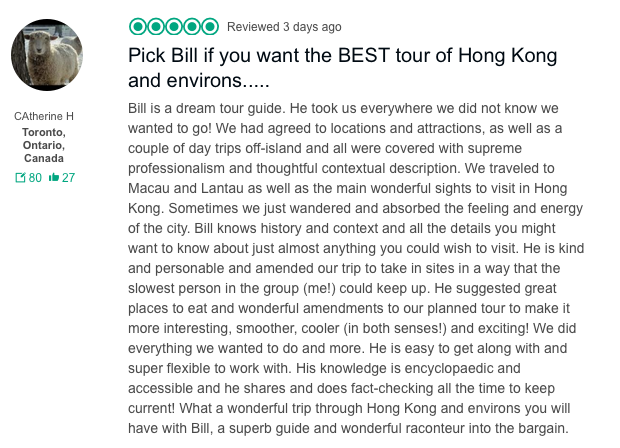 I AM PROUD TO BE CONSISTENTLY RATED ON TRIP ADVISOR AS THE BEST PHOTOGRAPHY TOUR IN HONG KONG BASED UPON TRAVELER REVIEWS. My first adult film camera...made in Old Kowloon in the early 1970s. I shot lots of Kodak Ektachrome slide film which Kodak has announced will be reintroduced in 2018! And yes, I still shoot film along with digital and use many kinds of cameras vintage and modern. Detailed information about my private Hong Kong Photo tours and Hong Kong street photography courses can be found at this link. I have been a photographer all of my life. In fact I got my first job with a camera. My Dad taught me how to take photographs on his Leica film camera when I was 8 years old. I grew up with film, darkrooms and plenty of photographic exploring during my travels. My first summer job opportunity as a 14 year old, literally fell onto my lap as a result of my documentary photography with the camera pictured to the left. Following my retirement from the law, which coincided with the advent of digital cameras, I was finally able to channel my lifelong passion for photography. More specifically, I was able to stylistically refine my "photographic eye" and develop a visual style that connects with my viewers. I am happy to share all I have learned over the years with all of my clients and very happy to shoot lots of memorable photographs of you during your premium private Hong Kong walking tours and Hong Kong photo tours! My street photography and artwork has racked up more than 260 million views on the internet. Check out some of my Hong Kong Street photography here. 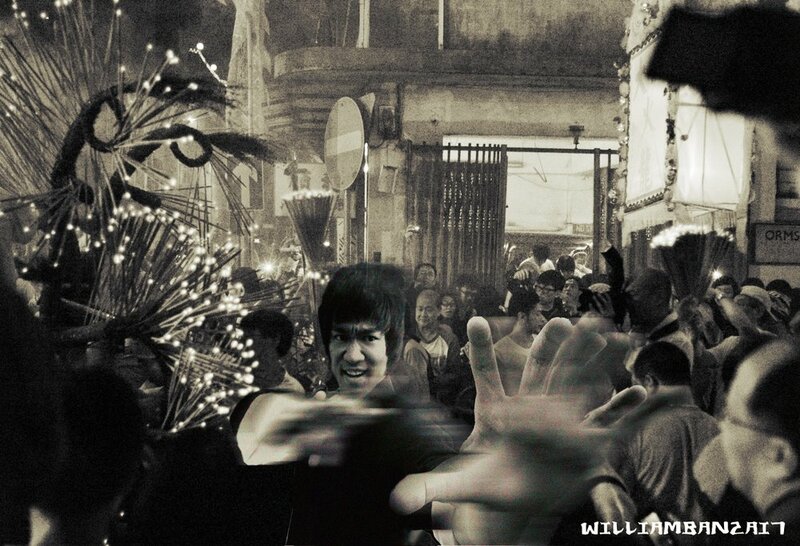 My digital artwork and Hong Kong photography has been acquired by collectors and followers from all over the world. I have scouted and know exactly where to capture the best images along all my tour routes and I am eager to share all of my hard won secrets with you! 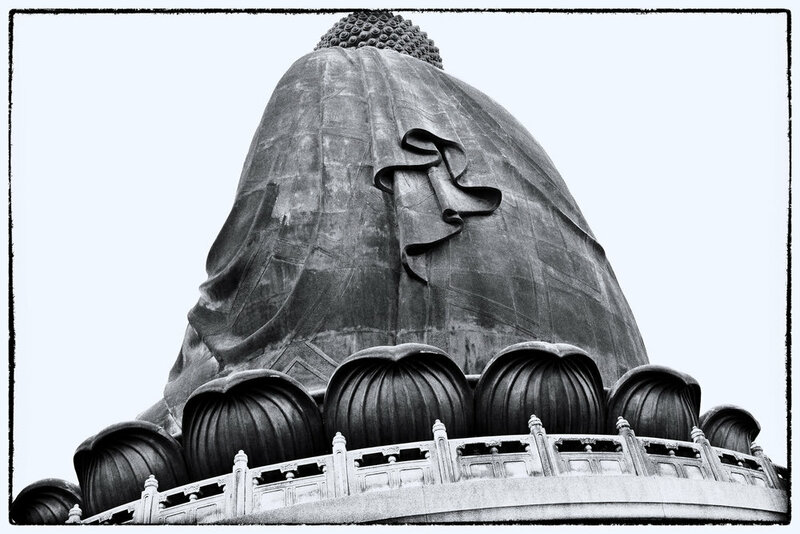 Here are some of my Hong Kong fine art images for your perusal (print inquiries are also welcome). Lion Rock, February 2017 (whatever it takes to get to the top!). My mission can be simply stated as follows: To provide all of my private Hong Kong walking tour clients with an entertaining, deeply informative and street savvy premium travel experience ultimately leading to cherished memories, a portfolio of stunning on-tour photographs, an urge for further investigation and a strong desire to navigate your way back to this wonderfully engaging city. The gold standard of premium tour guiding is to be found in one's mastery of every detail. All of my premium Hong Kong private tours are performed soulfully by me. There can be no substitutions. Business professionals will recognize immediately what I mean when I say I am a "high touch" service provider. By engaging me to be your guide, you can expect the utmost attention to detail in personalized service, proactive communication, positive attitude, transparency, the highest standards of best practice and client service professionalism. There is no such thing as overkill. So you may ask, why have I written this somewhat lengthy description of my background and personality? Well the answer is plain and simple, you are about to make a very important decision: Is this someone I want to spend a full day or several days with on my visit to Hong Kong and/or Old Macau? I want you to make that decision as a well informed consumer. Because who you see above is who you are going to get! Now hopefully, I will have provided you with a fair idea of who I am, where I am coming from, the nature of my expertise, the style of my patter and the overall multi-dimensional spirit of my endeavors. Enough so that you will find yourself sufficiently intrigued to take the next big step and click the Book A Tour button below! 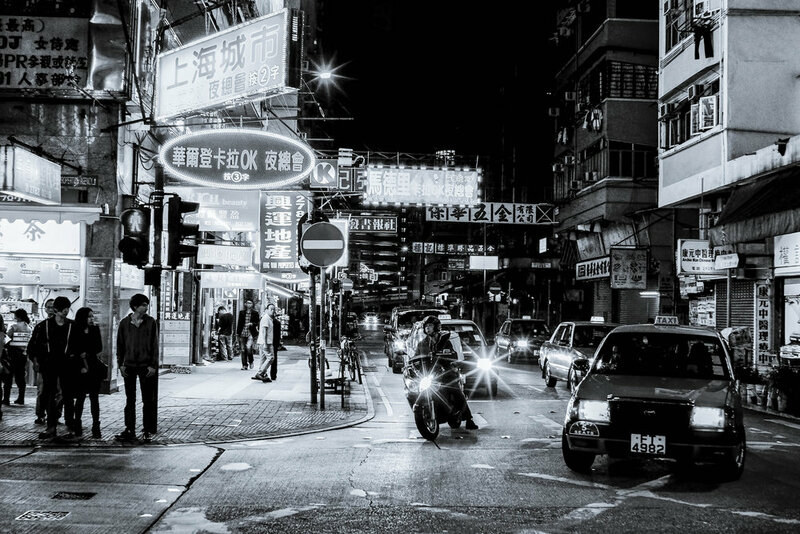 The bottom line, spend a day or two with me and I guarantee that you will leave Hong Kong with a memorable and entertaining experience exploring the richness of life on the Streets of Hong Kong. And on the way you will have also gained a friend for life! For more information regarding my private Hong Kong walking tours, please jump to my Tour Style and Frequently Asked Question pages. For details concerning my private Hong Kong tour offerings, please jump to my Tour Offerings page. Please note that all of my tours are personalized and are meant to be configured to meet your specific preferences and requests. Alternatively, as many do, you can just leave it with me. For my pricing, general terms and availability, please jump to my Pricing & Terms and Calendar pages. Finally, to book your premium tour, or send me a message, please jump to my Contact/Booking Page or click the red navigation button you see below and through out the rest of this website. I am very proud to be included as a guide in Tours By Locals global guide community where I am listed as William in Hong Kong (Guide No 15942). Hong Kong and the surrounding islands..